I've wanted to do a commenting related giveaway for a really long time because even though my stat counter tells me people are visiting... the lack of comments makes me curious as to WHO is here. So let's get a conversation going! 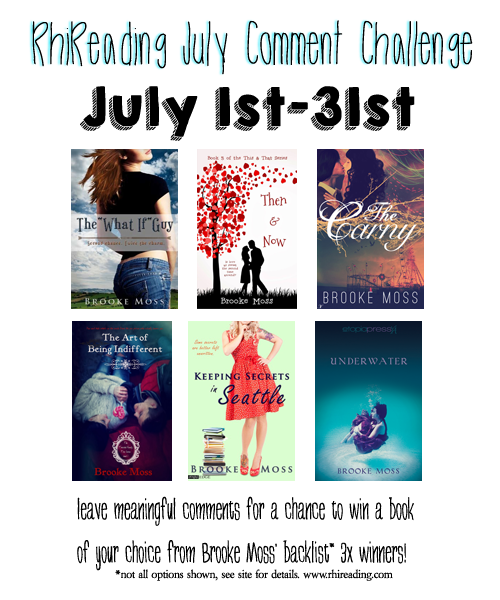 Your meaningful commenting this month will give you the chance to win a book by one of my favorite authors. What is a meaningful comment? What isn't a meaningful comment? ...and any other vague comment that isn't contributing to a starting or participating in a conversation. What holds you back from commenting on blogs you visit? Aside from giveaway posts what makes you want to comment on a post? Do you prefer commenting on blogs themselves or through social media (ie. Facebook)? What are some of you favorite blogs to comment at and what about them makes you feel compelled to join their conversations? I know what holds me back is often that I can't think of something meaningful to say about a post, usually promo ones. In honesty I like to comment on FB because I like having a lot of things in one place but find I wind up 'talking to myself' since NO ONE comments on my FB page. While I have the challenge here for YOU to comment on my blog. I've given myself a personal challenge to leave meaningful comments on 3 blogs every day this month and to try and visit/follow/meet more bloggers to expand my comfort zone. Q: What holds you back from commenting on blogs you visit? A: Nothing holds me back! If I have something to say or praise a review, I'll say it. :) If I don't know anything about the book in question then maybe I'll say "Oh it looks nice" but I do say something after I read a post because I'm also a reviewer and just a little comment is really nice and encourages me. Q: Aside from giveaway posts what makes you want to comment on a post? A: Feel like I answered to this...Not your fault though! I like encouraging people's posts and have a passion for reading so that makes it pleasant. Q: Do you prefer commenting on blogs themselves or through social media (ie. Facebook)? A: Usually on blogs because I'm rarely on FB. Maybe I'll ''like'' a post on FB but I'm rarely posting an elaborated comment there. Q: What are some of you favorite blogs to comment at and what about them makes you feel compelled to join their conversations? I comment on reviews when I think will want to read it sometime in the future or if it is a type of book that appeals to me. Or I comment if I have a point of view on a subject (like that one time you had a guest post on series/completed series). A: On blogs since most blogs I visit you don't need to log into anything in order view/comment. When I am on facebook, it is usually because I got an e-mail saying I have some kind of notification, otherwise I ignore my FB account. A: The only blog I really comment on saying things other than "ooo... sounds interesting" is this one and personal blogs. 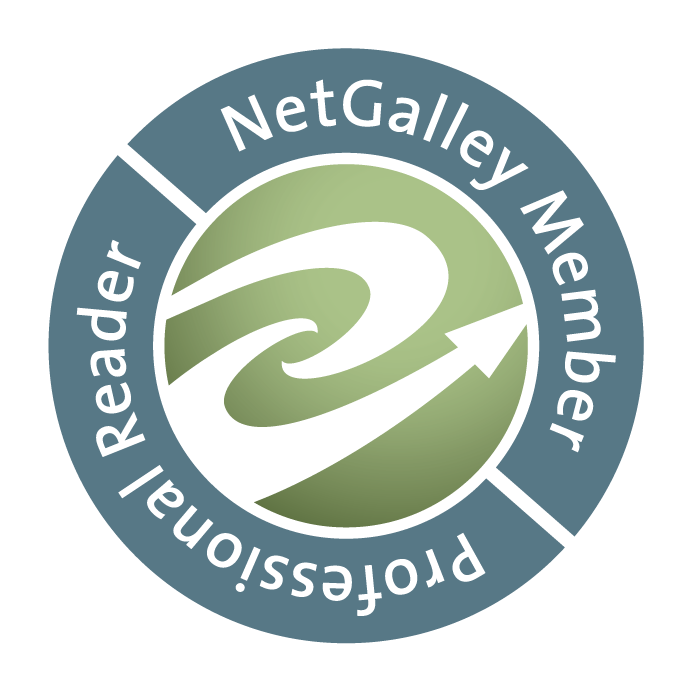 I comment on yours mostly because most of the books/guest posts appeal to me more than other sites. Also, I hardly visit blogs since I am busy finding a job, playing an online game, fixing my own blogs up, and reading. :D There are times I have to leave a note in a comment on a post where a giveaway is happening because of the same thing Lola! I will never read all of my books and yet... I can't seem to stop adding to my collection.